I first came across Chance the Rapper a few weeks before his second project, Acid Rap, dropped back in the spring of 2013. I even got a chance to see him on that tour, which was a fantastic show. And while Acid Rap received pretty heavy acclaim among those watching the hip hop scene, Chance stayed under the mainstream radar for another couple years as he dropped two collaborative mixtapes (with Donnie Trumpet and Lil B, respectively). Last year though, after a feature on Kanye’s neo-gospel “Ultra-Light Beam,” Chance became a household name with his third release, Coloring Book. Suddenly, Chance was everywhere. He picked up Kit-Kat campaign; he was meeting with the governor of Illinois, and subsequently giving massive donations to Chicago’s public school system. He quickly became the hometown favorite, and his fame and success has continued spreading, culminating with his Grammy win despite releasing the album for free and maintaining a fierce independence from the major labels. And this is all well earned. 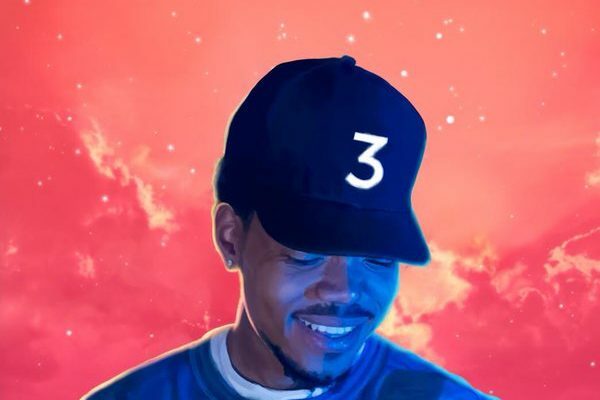 Chance radiates unique combination of positivity and talent that fills Coloring Book; he sings, raps, and features some of the biggest names in the underground and the mainstream. He has gained a level of fame unattainable by most while never losing a sense of authenticity desperately missing from many of his contemporaries. For the most part, Coloring Book is a strong album: “No Problem” has a great hook; the Francis and the Lights sample on “Friends” is gorgeous; “Angels” is a triumphant celebration of the south side of Chicago; and the Jay Electronica feature on “How Great” is straight fire. But, somehow I got very bored with this album very quickly. However, unlike Acid Rap (which I still have on fairly regular rotation), I stopped listening to Coloring Book as a whole project after three or four spins. As I listen through the whole album nearly a year after its release, I’m struck by the strength of the first half and the lackluster second half. Except for for that Jay Electronica verse (which only shows up after three minutes of singing), I find every song after “Angels” forgettable. I have a feeling this is on me though, not on Chance. As everyone has noticed, Coloring Book is heavily laced with Gospel music and Christian themes. From the Children’s Gospel choir feature on the opening track, to the opening lines of “How Great” by Chance’s cousin Nicole, Chance’s returning faith is infused throughout this album. As he told GQ last August, after the success of Acid Rap, he began living the rap star lifestyle many dream about full of drugs, money and women; but after returning to Chicago from LA and finding out his girlfriend was pregnant, his faith returned and he began working on Coloring Book. Good for him, I say, but to me, the gospel infused tracks are much less interesting than the psychedelic haze found on Acid Rap. Even when he tries to bring back some of the heady jams on tracks like “Smoke Break” or “Mixtape,” I just start to tune out a little bit. Even Young Thug’s verse can’t wake me up. But again, I think this is just my taste rather than a comment on the quality of the album as a whole. After being forced to listen to church choirs and hymns for 18 years of my life, I’m still a little burnt out on the style. I think if we are ranking gospel/rap albums, this is one of the best (if only?) contenders. But, to me, Acid Rap continues to be the quintessential Chance the Rapper album. While I may be in the minority here (people who only kind of liked Coloring Book), I still think it is a strong project overall and Chance deserves everything he has achieved as a result. I just hope that his next album can bring back a couple more verses featuring his signature ad lib and psychedelic feel that dropped off of this one.